Interneuron development is intimately linked to their ultimate function. 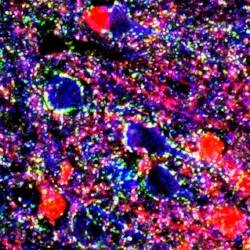 In one of the most remarkable events in neural development, newly born interneurons disperse throughout the brain to populate strikingly distinct structures including the cortex, hippocampus, striatum and amygdala. The Fishell Laboratory in interested in the genetic and developmental origins of inhibitory interneuron diversity.